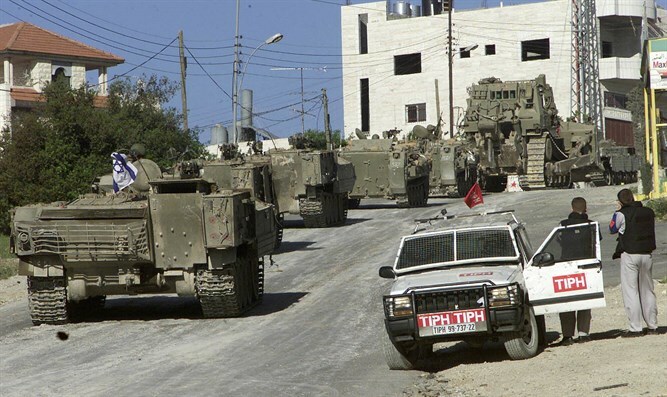 Judea and Samaria District Police report states TIPH deliberately seeks confrontations with IDF, Jewish residents. The Temporary International Presence in Hebron (TIPH) "is deliberately creating friction to justify their salaries," the Judea and Samaria District Police stated on Thursday. "The members of the mission confront with Israel Defense Forces troops stationed at permanent checkpoints and disrupt standard inspection procedures of the Palestinian population going through the checkpoints," the police report stated. TIPH has drawn controversy for its members' harassment of Jewish community and security forces in Hevron. In September 2018, a TIPH member struck a 10-year-old Jewish boy during a tour organized by the radical Breaking the Silence movement. The police report was requested by Public Security Minister Gilad Erdan. "It is no wonder that a mission comprised of police officers from hostile countries—such as Turkey and other pro-Palestinian countries that promote boycott of Israel—causes disturbances to the IDF and the police. The government should halt the activity of the TIPH, which only harms Israel," Erdan said. Erdan and other ministers and MKs have called on the government not to renew TIPH's mandate to operate in Hevron, which expires at the end of January.